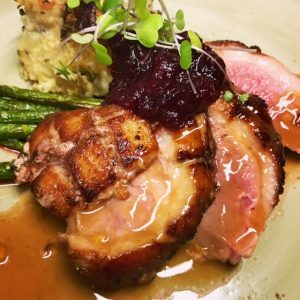 Three’s duck breast, one of the choices for Valentine’s dinner. Courtesy photo. 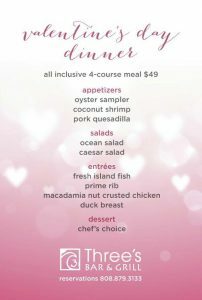 Three’s Bar & Grill in Kīhei invites you to enjoy an all-inclusive, four-course dinner with loved ones on Tuesday, Feb. 14, 2017. 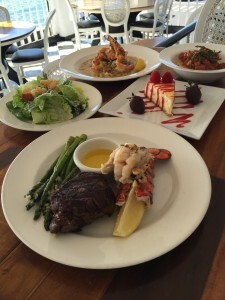 As part of the Valentine’s menu, guests can choose between appetizers such as the oyster sampler, coconut shrimp and pork quesadilla; Caesar or ocean salad; and entrées like fresh island fish, prime rib, macadamia nut-crusted chicken and duck breast (photo attached). 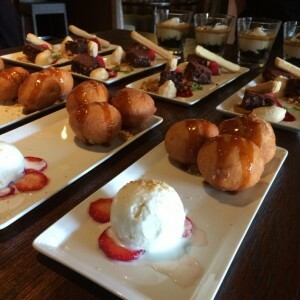 Dessert is also included in the meal, which costs $49 per person. 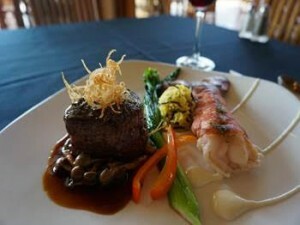 Dinner service is available between 5 and 10 p.m., and reservations are recommended. 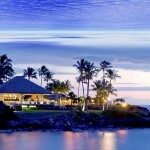 Please call (808) 879-3133 or book online at Three’s website to reserve your table in the surf lounge, dining room or outdoor patio with live music. 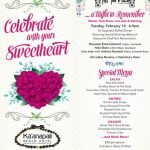 Valentine’s menu at Three’s Bar & Grill. Courtesy image.